16 Oct : Home MInister P Chidamabaram on Friday dedicated a song penned by lyricist Gulzar and sung by Shankar Mahadevan to the elite black cat commando force NSG. The force is celebrating its silver jubilee on Friday. Speaking on the occasion, the Home Minister praised the NSG commandos for their valour and dedication to the nation. The government on Friday said that it will procure high-tech and sophisticated weapons for the elite NSG commandos to help them deal with any terror threat. “The NSG is going to induct high-tech and sophisticated weapons in the coming days,” Union Home Minister P Chidambaram said on Friday while addressing the commandos at the silver jubilee celebration of the force. The Home Minister said the country would never forget the supreme sacrifice made by the NSG commandos during the Mumbai terror attacks. 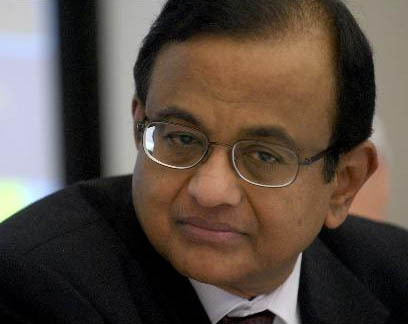 “We also remember the supreme sacrifice of NSG commandos Major Sandeep Unnikrishnan and Hawildar Gajender Singh and the entire force” who fought valiantly to liquidate the terrorists in Mumbai in November last year, Chidambaram said.